99.999% effective at killing viruses and bacteria. With a proven kill ratio of 99.992% Clostridium Difficile and 99.9993% Staphylococcus Aureus at 16ft. Patients and Staff with hands-free UVC disinfection, using intelligent dosing technology. 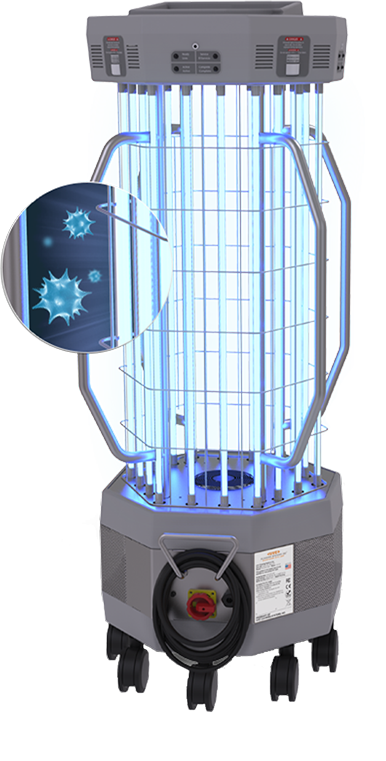 The system uses UVC sensors and software to measure UVC energy, taking into account environmental characteristics and emitter efficiency. with terms from 3 months to 3 years and use plans from 360 treatments to unlimited. All leases include service and maintenance at no extra cost. Disinfecting With Light. Disinfecting Done Right! 2340 watts of UVC output allows the M20 to disinfect large areas in less time. 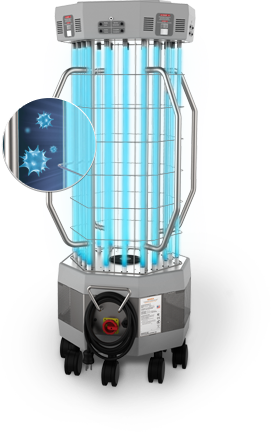 More power equals a more efficient reduction of microorganisms at further distances from the UVC source. We deliver an automatic, calculated dose of UVC energy to the treatment area, every time. 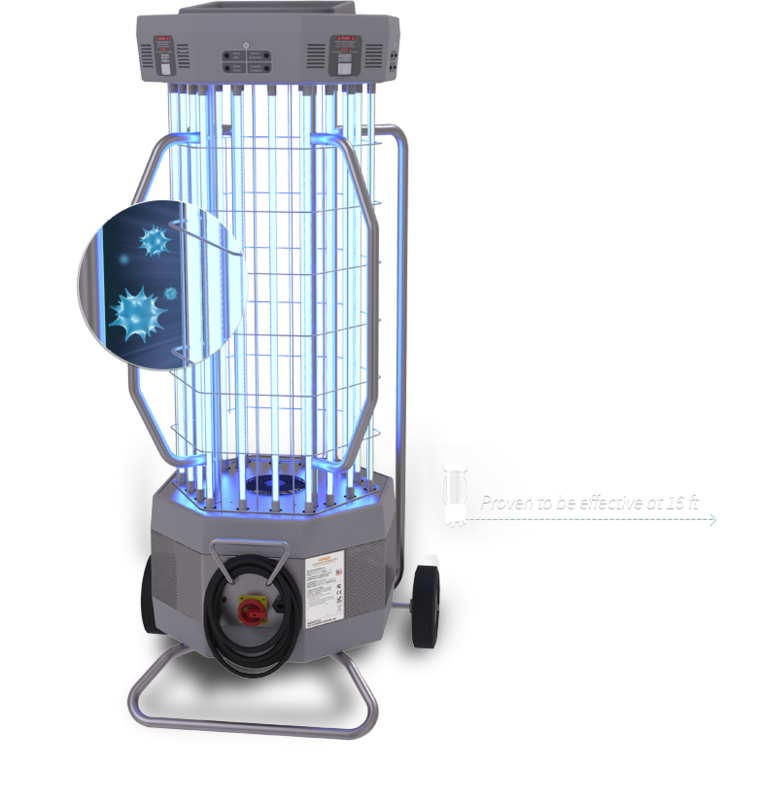 Using a patent-pending technology, our devices measure the efficiency of the emitter output to achieve a lethal level of germ-killing ultraviolet C.
Place the device in the room and start treatment with the easy to use 3-button remote control. No timers. No complicated remote pairing. Multiple safety features ensure safe and reliable UVC disinfection treatments every time. Flexible decontamination systems that fit your infection control program. Each of our products are safe, high powered, simple and effective. Designed for mobility and integration. Flexible enough for hospital use and any environment where harmful bacteria and viruses exist. This mobile unit is specifically designed for maximum effectiveness and ease of use-eliminating human error. Available with casters or with a handcart for maximum mobility. This wall mounted plug-in UVC disinfection device is able to link multiple units to increase room turnover. Enhanced disinfection is now possible quickly and effectively between every procedure.